Lexie and Lily are currently our middle children, and because they are so easy-going, they often get lost in the shuffle. Their teenage brother is high maintenance, and their little brother has special needs, so much of our time is focused on them. My girls needed some quality time with just me. They are both growing up so fast, and I really needed to spend some time strengthening our bond before it’s too late! When I told my girls that we were going to have a “girls only day” they were so excited! Instead of planning the day myself, I left it up to them. I told them to work together to figure out what they wanted to do. Instead of the bickering that I usually hear in their shared bedroom, I heard them actually talking and working together to come up with a fun plan! 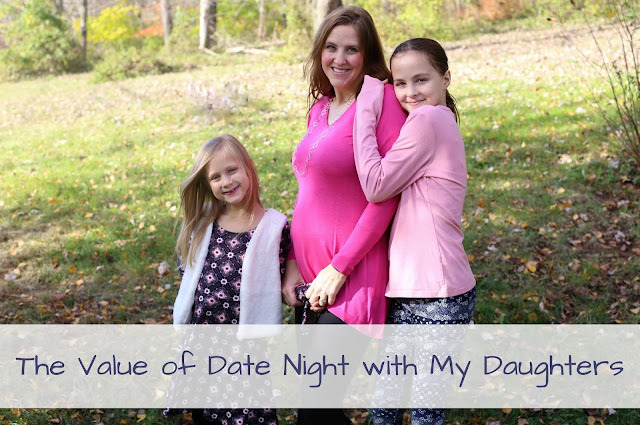 What happens when you let a 7 year old and 11 year old plan their special day out? Well, shopping is involved, followed by dinner and ice cream! They are certainly low maintenance, but I’m always up for shopping and ice cream! Before we headed out, we took a moment to pose for a few pictures together. They were so excited about spending time alone with me and our special day together that they even got dressed up in favorite outfits! 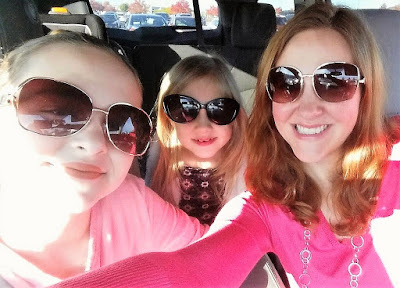 We said goodbye to the boys, piled into the SUV, and sang loudly to some favorite songs as we drove to the mall. I could tell Lexie and Lily were thrilled about our time together! My girls love to browse, and check out clothes and shoes. Usually we’re in a hurry while shopping, but this time, I let them go at their own pace. They added things to their Christmas wish list, tried clothes on, and showed me their favorite items. They even had fun choosing cute outfits for their baby brother, who is due in March. 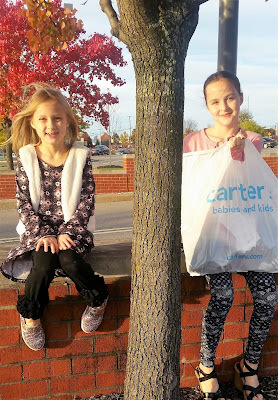 I surprised them by letting each of them pick out their favorite thing that they looked at while shopping! After hours of shopping, we were starving! We live in an area that has pretty much every restaurant you can think of, but all they wanted was cheeseburgers, chicken tenders, and french fries. Although I was surprised they didn’t pick a fancier place to eat, the food really hit the spot! What they were most excited about, however, was ice cream! It really is the simple things in life, and my girls are all about ice cream cones! 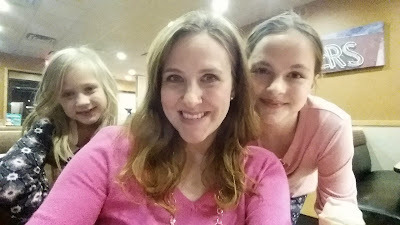 They thanked me repeatedly while we were enjoying our after dinner treat, and said they had so much fun with me. It was definitely a good reminder that I need to invest more time in my relationship with them, both individually, and together. As we spent hours together, I couldn’t help wondering if it will be like this when my girls are older. Then I realized that if I make them a priority, and show them just how much I value our relationship, they will learn from that experience, and be more likely to do the same when they are grown. Building strong, lasting mother/daughter and mother/son relationships is one of things I consider most important in life! Finances are often a concern in a large family such as ours, but we want to be able to invest in quality experiences with our family and close friends without having to worry. It really made me wonder about a few things: Are we getting the most out of the money we earn? Are we missing out on potential returns by choosing bank savings instead of higher yielding money market funds? According to recent data, if you have $10,000 in cash, you could earn approximately $170 in a year at the current average yields of money market mutual funds. With a bank savings account, you would only make about $10. * The difference is $160! Although it doesn’t seem like a lot, that money will add up over time! Some companies, like Vanguard, are built in a way that better aligns to my interest. So what’s $160 REALLY worth? For us, it’s quality time with our family! Choosing a higher-yielding cash account could allow us to experience even more of these fun moments with our children while they are young! To get the most out of our cash, we have to assess our options and figure out which provider fits best into our future plan. If you haven’t looked at your cash investments recently, maybe it’s time to ask yourself these questions: Am I getting the most out of the money I earn? Am I missing out on potential returns by choosing bank savings instead of higher yielding money market funds? Does my financial institution have my best interests in mind? Find out more about your cash options at Vanguard! So sweet to have a girls' day. I wish I had two girls so they could plan a girls' day together! Thanks for sharing! 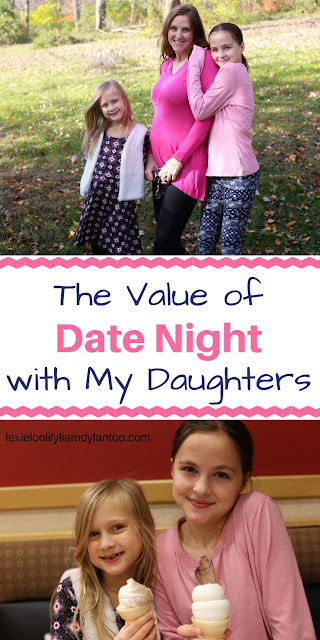 I'm sure the girls really did love having a mother/daughter night out. And you can't go wrong with ice cream!